Home > News > Alexa, Ask DreamCatcher to Disarm Monte Carlo! 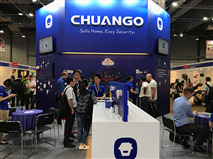 Amsterdam – Feb 7, 2018 – Chuango Security Technology Corporation, an award-winning and dynamic developer of wireless DIY home security and automation systems, is pleased to announce its smart home tech brand smanos’s participation in DISTREE EMEA between February 7 and 8. “We’re delighted to be back in Monte Carlo with our latest wireless, DIY home security and automation solutions, especially with newly forged partnerships with the Google® Assistant and Amazon® Alexa,” said Ken Li, founder and CEO. The complete solution portfolio of smanos speaks minimalistic elegance, self-installation and self-monitoring, and is available at booth G3 in the Fairmont Monte Carlo hotel. The K1, the ultimate home automation and security center, is smanos’s smart home gateway, combining butler- and guard-like functions into a stack of esthetically pleasing round discs. 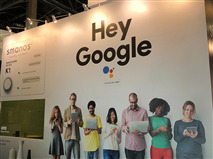 “A few cool features have been added to the K1 system, the most noticeable of which is Works with the Google® Assistant,” said Johann Toldo, Country Manager of France and the UK. “For us, it was very easy to adjust our app and cloud infrastructure. Integrating with the Google Assistant has enabled us to better serve our users across multiple languages. Instead of being limited on a single device at home, we can meet our users where they are – on the phone, in the office, in the car, while watching TV – enabling them to interact with our products not just by voice but also by typing and tapping.” The newly enhanced Red Dot Product Design and Computex d&i Gold Award winner K1 kit is also compatible with Amazon® Alexa, Nest® thermostats and Hue® lights, and is available worldwide at an MSRP of Euro 270. Also available separately or as additional accessories to the K1 system are the UFO Panoramic WiFi HD Camera and Smart Video Doorbell, with MSRP’s of Euro 180 and 190, respectively. “smanos is fast-expanding at a great momentum, with all its partners across the world,” said Hayden Hsu, Senior VP of Strategy and Marketing. “We will deepen our foothold in the smart home and DIY security sector, and stay in sync with technological developments and market demands arising from Internet-of-Everything/Anything applications, with multiple R&D, design, logistics and service centers throughout Europe, Asia and the US.” Having established a great rapport with consumer electronics and building materials distributors and resellers across the world, Hsu added, “we understand what it takes to achieve win-win for our channel and retail partners. Cross-competition should be of no concern as we only appoint a select few partners in each market and do everything we can to help them achieve their P&L goals.” smanos is a global smart home technology enabler with local team members, always endeavoring to bring the latest, most reliable innovations to market in a timely and affordable manner.